Just about anything can be fodder for an ideological dispute these days. Just consider news of the recent fire at Gene Cranick's home in Obion County, Tenn. Here's the short version of what happened: In rural Obion County, homeowners must pay $75 annually for fire protectionservices from the nearby city of South Fulton. If they don't pay the fee and their home catches fire, tough luck -- even if firefighters are positioned just outside the home with hoses at the ready. Gene Cranick found this out the hard way. When Cranick's house caught fire last week, and he couldn't contain the blaze with garden hoses, he called 911. During the emergency call, he offered to pay all expenses related to the Fire Department's defense of his home, but the South Fulton firefighters refused to do anything. They did, however, come out when Cranick's neighbor -- who'd already paid the fee -- called 911 because he worried that the fire might spread to his property. Once they arrived, members of the South Fulton department stood by and watched Cranick's home burn; they sprang into action only when the fire reached the neighbor's property. Daniel Foster, a self-described "conservative with fairly libertarian leanings" who writes for the magazine, took issue with the county's laissez-faire approach to firefighting, calling it "a kind of government for which I would not sign up." "What moral theory allows these firefighters (admittedly acting under orders) to watch this house burn to the ground when 1) they have already responded to the scene; 2) they have the means to stop it ready at hand; 3) they have a reasonable expectation to be compensated for their trouble?" Foster wrote. But Foster's colleague Kevin Williamson took the opposite view. Cranick's fellow residents in the rural stretches of Obion County had no fire protection until the county established the $75 fee in 1990. As Williamson explained: "The South Fulton fire department is being treated as though it has done something wrong, rather than having gone out of its way to make services available to people who did not have them before. The world is full of jerks, freeloaders, and ingrates — and the problems they create for themselves are their own. 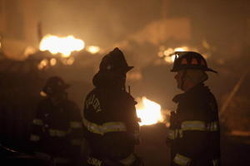 These free-riders have no more right to South Fulton's firefighting services than people in Muleshoe, Texas, have to those of NYPD detectives." Liberals are pouncing on the Cranick fire as an illustration of what they take to be the callous indifference of a market regime that rewards privileged interests over the concerns of ordinary Americans. "The case perfectly demonstrated conservative ideology, which is based around the idea of the on-your-own society and informs a policy agenda that primarily serves the well-off and privileged," Think Progress' Zaid Jilani wrote in a response to the National Review writers. "It has been 28 years since conservative historian Doug Wead first coined the term 'compassionate conservative.' It now appears that if any such philosophy ever existed, it has few adherents in the modern conservative movement." Todd Reichert, an engineering student at the University of Toronto, made history by sustaining flight in his ornithopter -- named Snowbird -- for 19.3 seconds and covering 475.72 feet. Snowbird is made from carbon fiber, balsa wood, and foam. The 92.59 pound vehicle maintained an average speed of 15.91 miles per hour. Todd endured a year-long exercise program in which he lost 18 lbs. to prep for the flight. Because the plane has a wingspan of 104 feet -- which is comparable to that of a Boeing 737 -- the pilot had to pedal with his legs all while pulling on the wings to flap at the same time. And he had to do it fast enough to fly! The flight, witnessed by the Federation Aeronautique Internationale, is the first officially confirmed flight in an ornithopter. 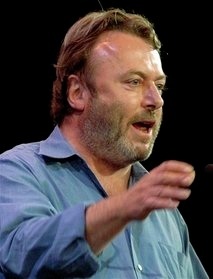 By JAY REEVES, Associated Press Writer – Mon Sep 20, 5:48 am ET BIRMINGHAM, Ala. –Stricken with cancer and fragile from chemotherapy, author and outspoken atheist Christopher Hitchens sits in an armchair before an audience and waits for the only question that can come first at such a time. "How's your health?" asks Larry Taunton, a friend who heads an Alabama-based group dedicated to defending Christianity. "Well, I'm dying, since you asked, but so are you. I'm only doing it more rapidly," replies Hitchens, his grin faint and his voice weak and raspy. Only wisps of his dark hair remain; clothes hang on his frame. Christopher Hitchens won't be bowing his head, even on a day set aside just for him. On Sept. 7, he visited Birmingham for his first public appearance since the diagnosis, a debate against David Berlinski, author of "The Devil's Delusion: Atheism and Its Scientific Pretensions." They argued over the implications of a purely secular society before a crowd of about 1,200 in an event sponsored by Fixed Point Foundation, the Christian apologetics group headed by Taunton. The way the English-born Hitchens sees it, the people praying for him break down into three basic groups: those who seem genuinely glad he's suffering and dying from cancer; those who want him to become a believer in their religious faith; and those who are asking God to heal him. Hitchens has no use for that first group. "'To hell with you' is the response to the ones who pray for me to go to hell," Hitchens told AP. He's ruling out the idea of a deathbed change of heart: "'Thanks but no thanks' is the reply to those who want me to convert and recognize a divinity or deity." It's that third group — people who are asking God for Hitchens' healing — that causes Hitchens to choose his words even more carefully than normal. Are those prayers OK? Are they helpful? "I say it's fine by me, I think of it as a nice gesture. And it may well make them feel better, which is a good thing in itself," says Hitchens. But prayers for his healing don't make him feel better. "Well, not any more than very large numbers of very kind, thoughtful letters from nonbelievers, some of whom know me, some of whom don't, asking me to know that they are on my side," Hitchens said. "That cheers me up, yes." Hitchens doesn't know exactly how "Everybody Pray for Hitchens Day" began, other than that it's one of those things that appears on the Internet and goes viral. He declined an invitation to appear at a rabbi's prayer service in Washington that day, and he doesn't see any point in the exercise. "I'm perfectly sure that there is nothing to be gained from it in point of my health, but perhaps I shouldn't even say that. If it would do something for my morale possibly it would do something for my health. We all know that morale is an element in recovery," he said. "But incantations, I don't think, have any effect on the material world." The cancer that began in Hitchens' esophagus already has spread into the lymph nodes in his neck, and he fears it has reached a lung. He's visibly tired after a book signing and luncheon appearance and says he needs to rest, even though resting seems like such a waste of time when so little time may be left. Already into his fourth round of chemotherapy, which he is receiving every three weeks, Hitchens says it's difficult to gauge his eventual legacy. He hopes to be remembered with affection by some; with passion by others; and hopefully as a good father by his three children. "I'd be proud to have my contribution at that," Hitchens said. "This is a very long, long, long story. It's humanity's oldest argument. If I played a small part in keeping it going that would be enough for me." By FAHEEM HASSAN, More so than ever Pakistan is in need of help. 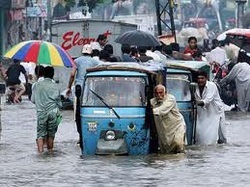 The country is seeing a slow and steady progression through the floods that have plagued the country. All this comes at minimal assistance from the country's own government. The Pakistani government receives billions in financial assistance from the United States but because of corruption at the highest level of Pakistan's government these funds are pocketed instead of used to better the country. What Pakistan needs is people who truly believe in the country and want to make a difference and not line their pockets with the money that is supposed to go towards making the country a superpower that it can be. I feel it is necessary for the young people of Pakistan to take a stand against corrupt and power hungry politicians to force a change in leadership. What we need is a community of young, educated Pakistani people to come together and create some sort of revolution that can and will not be denied. New ideas come to me everyday on how to create change in Pakistan but I know that there is strength in numbers, numbers which I lack I need young, enthusiastic and smart people to join me in a quest to change the way things are done in Pakistan.